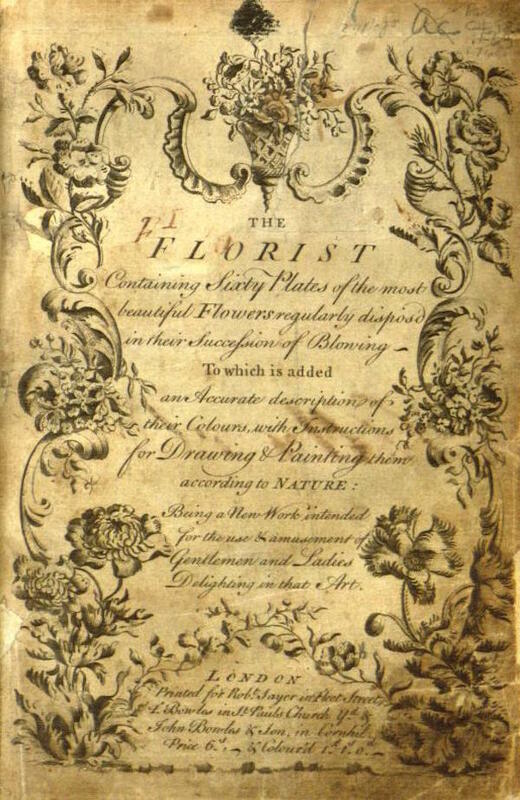 Botanist Amy Pool was doing research in the Missouri Botanical Garden when she came across ‘The Florist’ by Robert Sayer—it is a rare coloring book published around 1760. 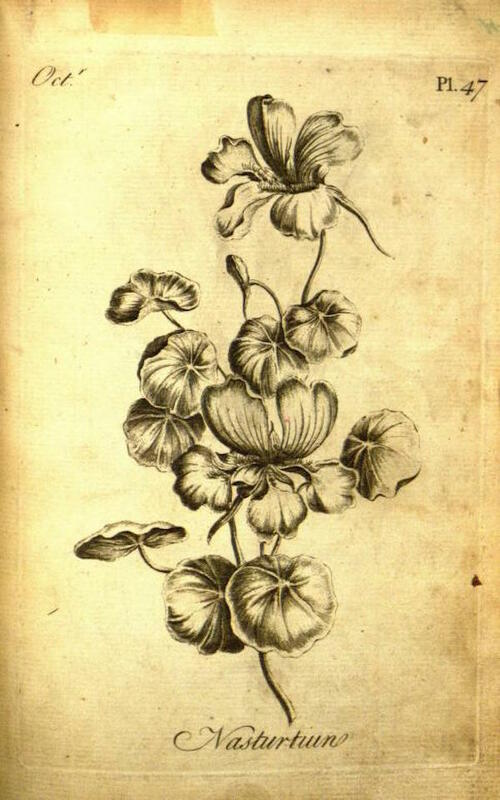 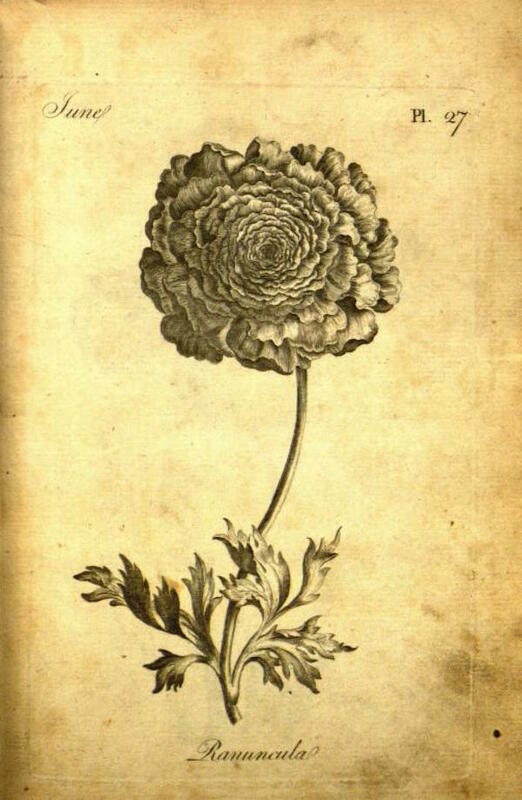 The book is full of exquisite botanical illustrations ready for coloring. 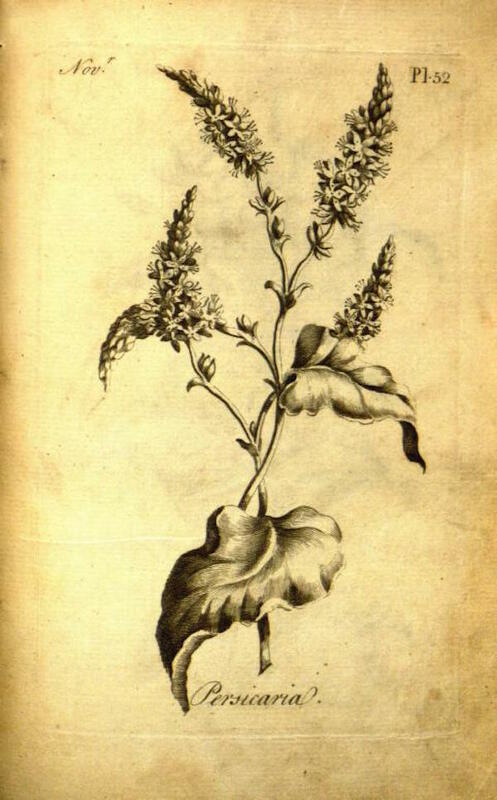 According to one of the first few pages, the book is intended for ladies and gentlemen of the era—botany was extremely popular at the time. 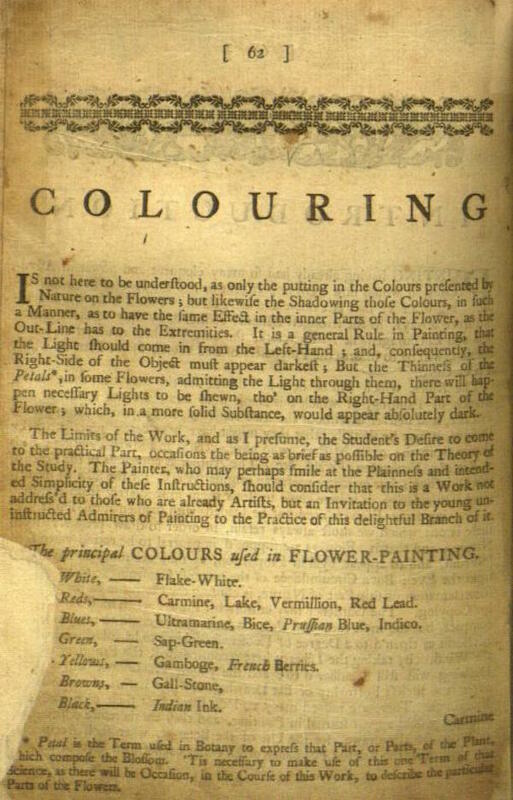 Despite it’s age, the book is in remarkably good condition. 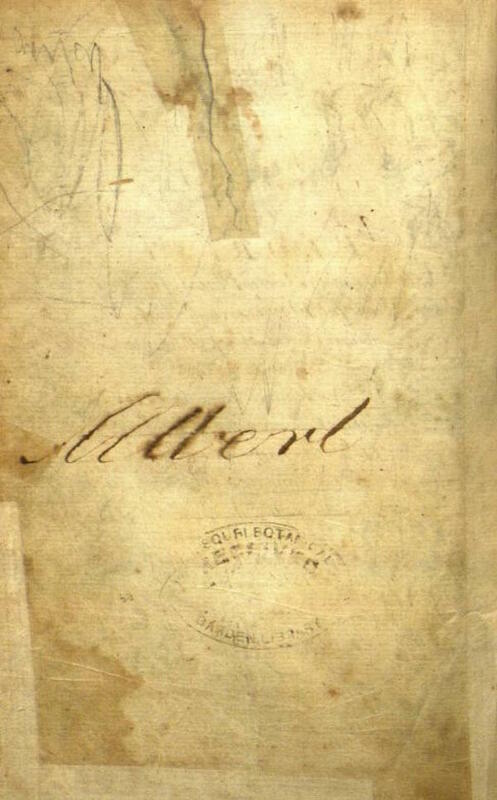 The pages may be yellowed, but have never been colored, although there are a few mysterious signatures of previous owners—the name ‘Albert’ is beautifully penned on one page, and on another, ‘Lilly’ is written in a child’s handwriting. 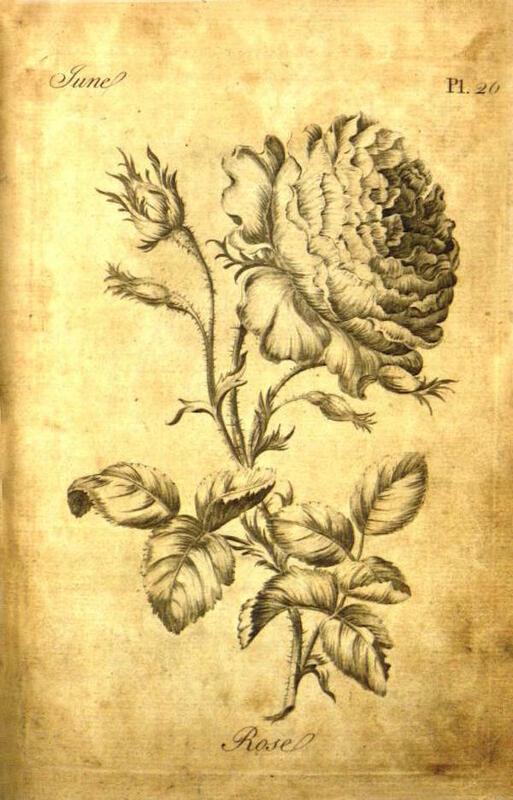 The entire book has now been digitized and is in the public domain, meaning that it is free for use here.